I was thrilled when Van's Natural Foods approached me to see if I would review their new snack bars. One of my sons is newly trying a gluten free diet and it has been hard to find nutritious gluten free snack bars that also satisfy his hunger and are yummy. We received a fun package from Van's with gluten free multi grain chips, snack bars and a lovely serving plate! And at the end of this post you can win a Van's Natural Foods Coupon pack. So stay tuned! 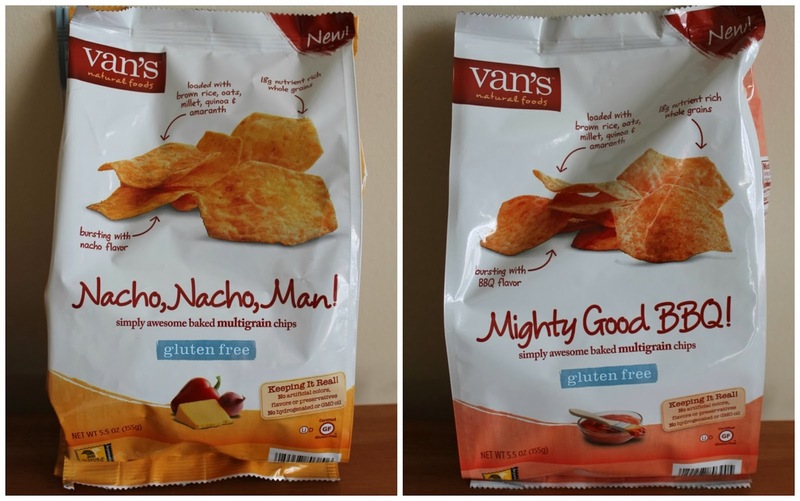 We first tried the Nacho, Nacho Man gluten free chips and they were light, crispy and cheesy. It was hard not to eat the entire bag! With 18 g of whole grain and wholesome ingredients like brown rice, oats, millet, quinoa and amaranth, these multigrain chips can be an every day treat without guilt! We also liked the Mighty Good BBQ! and I did eat that bag (with help from the family) in one sitting. BBQ flavored chips are simply my downfall. I love them! But again, eating these made me feel less guilty in indulcing and with all that whole grain it was probably healthy right ;) ? The real winner of this test package were the PB&J bars however. They were amazing and the kids (all my kids) LOVED bringing them to school. The bars are filling and delicious with one side being real peanut butter and the other a yummy strawberry or blueberry filling. They are soft, full of flavor and of course gluten free. Strawberry was my youngest son's favorite and a great companion for any lunch. In this case a gluten free, vegan falafel lunch with pita chips and apple slices. 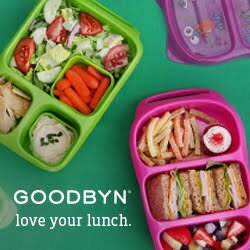 We were so happy when the first snow of the season surprised us one morning and what better way to round out a happy snow lunch box then with a Van's Natural Foods PB&J bar. We also packed a peanut butter sandwich, apples and letter cookies. Van's Natural Foods offers a variety of natural foods including a variety of waffles - both gluten free and regular. Their newest addition,"Love Your Heart" Waffles are NOT GLUTEN FREE but non-GMO Project-certified waffles contain 34 grams of whole grains and are made from a mix of whole grains including whole wheat, barley, oats and more. Want to try some of these gluten free treats for yourself? Disclosure: Van’s Natural Foods sent me all of the products shown above for review purposes. All opinions expressed here are 100% my own. 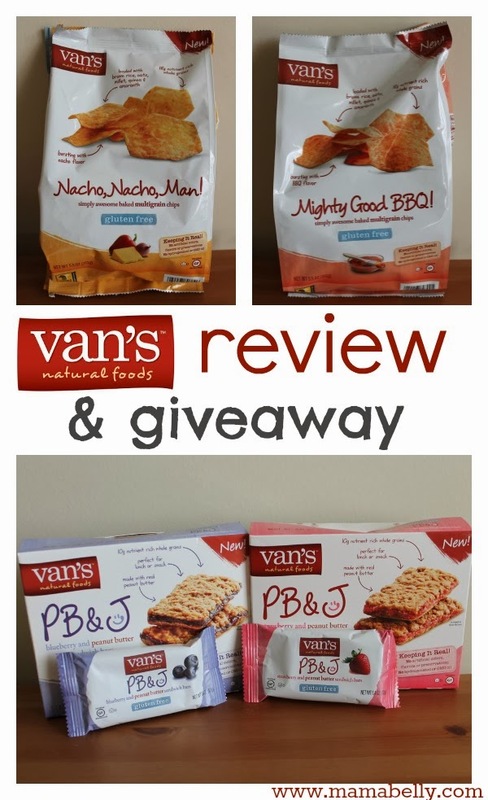 This giveaway is sponsored by Van’s Natural Foods. I absolutely love Vans products! They have the best GF products! Thanks for the giveaway. I would love to try those BBQ chips also.. I have not tried these!!! Those Nacho chips look good! The love your heart waffles. I'd like to try the PB&J Bars. They sound very good.